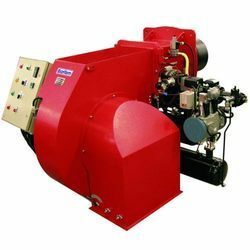 Our range of products include fan wheel motor with blower, photocells flame detector, diesel fired burner, oil burner fuel pump, temperature controller box and oil burner nozzles. The Fan Wheel Motor we manufacture has a strong construction and is highly durable. These motors are thermal overload protected. The bodies of these motors are made up of stainless steel and as a result are a rust and corrosion protected. manufacture our products using high-quality raw materials. We being one of leading manufacturers of the Photocells Flame Detector, provide the best quality and at a highly reasonable price. We manufacture a wide range of photocell and flame detectors depending on the need of the customers. These detectors provide high efficiency and functionality and thus have a long lasting service life. These detectors produce no noise at all. Manufactured using high-quality raw materials provide maximum satisfaction to the customers. The Oil Burner Fuel Pump we manufacture and supply have a strong construction. These are heat resistant and corrosion resistant and are thus highly durable. We being one of the market leaders produce a wide range of Oil Burner Fuel Pump. 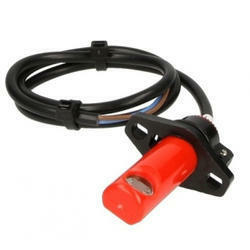 These fuel pumps have an attractive design and run at a high velocity. 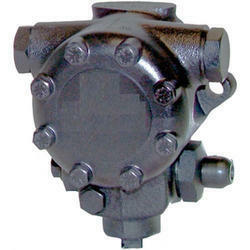 These Oil Burner Fuel Pumps are manufactured using high-quality raw materials and modern technology. Further to provide optimum satisfaction to the customers these products are sent to a number of quality checks. We were one of the leading manufacturer and suppliers, provide a wide range of Temperature Controller Box. These controller boxes are very easy to install. They have a strong body made of stainless steel and thus are highly durable. This Temperature Controller Box is mostly used in thermal plants.These controller boxes are manufactured using high-quality raw materials. And in order to live up to our promise, we send our products through a number of quality checks. 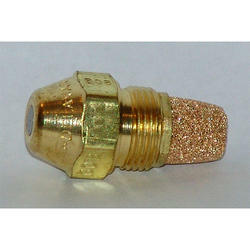 The Oil Burner Nozzles we manufacture and supply are made up of brass and have a hard body. These nozzles are heat and corrosion resistant and as a result are highly durable. These nozzles are available in different shapes and sizes depending on the need of the customers. The production of these Oil Burner Nozzles involves high-quality raw materials, modern technology and a series of quality checks. These nozzles are very easy to maintain and are highly affordable. We are the manufacturers of high-quality Oil Burner Filter using top grade raw materials and modern technology. These filters have a strong body and are highly durable. These filters provide a very high level of hindrance free performance. Highly cost-effective and easy to maintain these filters are very much in demand. We being one of the market leaders do not compromise with quality, and thus we send our products through a number of quality checks. 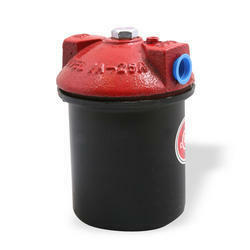 These Oil Burner Filters are provided by us in the market at a very reasonable price.